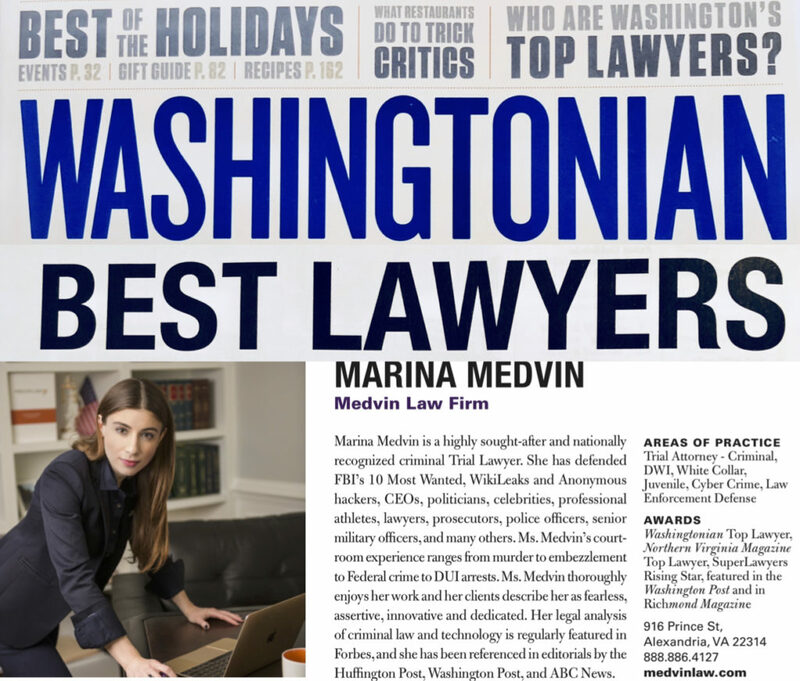 This article is written by a criminal defense attorney licensed to practice law in the Federal Courthouse in the United States District Court in the Eastern District of Virginia in Alexandria. This article contains detailed and easy to understand explanations of the various laws, penalties, and defenses for Federal drug crimes in Virginia. Particularly, this article covers the sale, distribution, and possession of marijuana, in addition to other common drug offenses. This article was originally written for use by law enforcement officers in training, but is formatted to be easy to understand by all. 1) Which government body has the right to prosecute you, the Virginia or Federal government? 2) If your prosecution is in the Federal court system, then does the court apply Virginia drug law or Federal drug law to your case? When compared with Virginia case results, federal penalties are much harsher and the federal guidelines give less leeway to judges in sentencing. This is a complicated issue and needs to be explained on a case-by-case basis – so please call the law office for a consultation and to figure out the answer in your case. First Offense: any amount – misdemeanor – up to 1 year in prison, up to a $1,000 fine. Second Offense: any amount – misdemeanor – at least 15 days of a mandatory minimum jail sentence – up to 1 year in prison, up to a $2,500 fine. Third Offense: any amount – misdemeanor or felony – at least 90 days of a mandatory minimum jail sentence – up to 3 years in prison, up to a $5,000 fine. A gift of small amount of marijuana is treated as possession under Federal law, unlike in Virginia, where it is treated as distribution. All distribution charges under Federal law are felony charges. Manufacture or distribution of less than 50 plants or 50 kilograms of marijuana is punishable by up to five years in prison and a fine of up to $250,000. For 50-99 plants or 50-99 kilograms the penalty increases not more than 20 years in prison and a fine of up to $1 million if an individual, $5 million if other than an individual for the first offense. Manufacture or distribution of 100-999 plants or 100-999 kilograms carries a penalty of 5 – 40 years in prison and a fine of $2-$5 Million. For 1000 plants or 1000 kilograms or more, the penalty increases to 10 years – life in prison and a fine of $4-$10 Million. 100 to 999 plants or 100 to 999 kg mixture: 5 to 40 years in prison, individual fine up to $2 million; if a death serious injury was involved, up to a life sentence in prison. 1 to 49 plants or less than 50 kg mixture: 10 years to life in prison, individual fine up to $4 million, if death or serious injury involved, a mandatory life sentence. Sentences will increase as follows: the higher the quantity, the harsher the penalty. Possession of marijuana is illegal under Virginia Code § 18.2-250.1. Possession must be either knowing or intentional, which means that the government must prove that you either knew about or intended to have marijuana in your possession, and you didn’t just possess it accidentally or unknowingly. Establishing the element of possession in a courtroom in very difficult for the government. In order to convict a person of illegal possession of an illicit drug, the Commonwealth must prove beyond a reasonable doubt that the accused was: 1) aware of the presence and 2) character of the drug, and 3) that the accused consciously possessed it. Your mere proximity to the drug is not sufficient to prove possession. In addition, ownership or occupancy of the premises where the drug is found does not create a presumption of possession. These factors can be considered together by a court, but a good defense lawyer won’t let that add up. Constructive possession (which simply means possession by circumstantial evidence) may be established when there are acts, statements, or conduct of the accused or other facts or circumstances which tend to show that the accused was aware of both the presence and character of the substance and that it was subject to his dominion and control. A good defense lawyer would argue the opposite to the court. A first offense penalty for possession is a misdemeanor conviction with up to 30 days in jail and a $500 fine. A second or beyond conviction is a Class 1 misdemeanor, with up to 1 year in jail and a maximum $2,500.00 fine. Penalties under this section depend on the quantity of marijuana in the particular case. Violation with one-half ounce of marijuana or less is a Class 1 misdemeanor – punishable by up to 12 months in jail and a $2,500.00 fine. Violation with more than one-half ounce but less than five pounds of marijuana is a Class 5 felony – punishable by up to 10 years in prison. Violation with more than five pounds of marijuana is a felony punishable by a prison sentence between 5 and 30 years in duration. Selling, distributing, possession with intent to distribute marijuana – 3rd or subsequent felony – punished by a prison sentence between 5 years and life in prison. (See VA Code 18.2-248.1) This charge has a mandatory minimum prison sentence of 5 years. Selling less than 1 oz. of marijuana – to minor – punished by a prison sentence between 10 years and 50 years. (See VA Code 18.2-255) This charge has a mandatory minimum prison sentence of 2 years. Selling more than 1 oz. of marijuana – to minor – punished by a prison sentence between 10 years and 50 years. (See VA Code 18.2-255) This charge has a mandatory minimum prison sentence of 5 years. Transporting into the Commonwealth of Virginia – 5 lbs. or more marijuana – punished by a prison sentence between 5 years and 40 years. (See VA Code 18.2-248.01) This charge has a mandatory minimum prison sentence of 3 years. Transporting into the Commonwealth of Virginia – 5 lbs. or more marijuana – second or subsequent offense – punished by a prison sentence between 5 years and 40 years. (See VA Code 18.2-248.01) This charge has a mandatory minimum prison sentence of 10 years. Since the only evidence that can be used against you in court is the evidence that the police find, lawyers have to make sure that the police had Constitutional authorization to conduct the search for that property. If they did not and the search was invalid, all of the evidence found cannot be used against you. This results in the charges against you having to be dismissed or dropped. UNDER WHAT CIRCUMSTANCES DOES A POLICE OFFICER HAVE THE AUTHORITY TO STOP YOU, QUESTION YOU, OR SEARCH YOU? The first level is called an “encounter.” Police may approach and speak with anyone about anything, without there needing to be a reason to do so. You have no obligation to respond. However, if the officer wants to keep the individual for longer than the person wants to continue talking to him, the police officer will need a higher standard of suspicion under Fourth Amendment law. The second level is called “reasonable suspicion.” This standard requires the officer to articulate that he had reason to believe that criminal activity was brewing. This can’t be a hunch or a belief, it must be supported by observations and conclusions that the officer makes based on his training and experience. These observations can include particular elements related to the suspected individual and also general elements relating to the environment where the individual is found. The suspicion must also be particularly tailored to the individual who the officer wishes to detain briefly or to pat down. Under this suspicion level, the officer may only search the individual for weapons. The officer cannot attempt to search for anything else, including drugs and contraband. That is a why a “pat-down” consists of an officer patting down with open hands an individual for shapes in his clothes that may be weapons – the officer is not manipulating any items with his fingers in legal pat-downs. Once the officer discovers something that he believes may be a weapon, only then can he reach into the clothes to conduct a search and manipulation of that object. The third level is called “probable cause.” Probable cause requires a much greater amount of proof than reasonable suspicion. Thus, if you are stopped for driving on a suspended license and are arrested for that offense, there is no evidence that officers can reasonably expect to find in the car, so the police have no legal reason to search your car. If they do search your vehicle after such an arrest, then the evidence found as a result will be suppressed and your charges will be dismissed. A brand new law was enacted on March 23, 2011. For the first time in Virginia the government is punishing synthetic marijuana use. It is effective immediately and will be soon codified as VA Code 18.2-248.1:1 and entitled “Penalties for possession, sale, gift, or distribution of or possession with intent to sell, give, or distribute synthetic cannabinoids; manufacturing.” Under this new law, synthetic marijuana offenses are treated almost identically to natural marijuana offenses. 1) The knowing or intentional possession of a synthetic cannabinoid is a class 1 misdemeanor. 2) The sale or distribution, or possession with intent to sell or distribute, of a synthetic cannabinoid is a class 6 felony. 3) A gift without intent to profit (an accommodation) of a synthetic cannabinoid is a class 1 misdemeanor, unless the accommodation is to an inmate of a state, local or federal penitentiary, in which case it is a class 4 felony. 4) The manufacture of a synthetic cannabinoid is a special felony “punishable by imprisonment of not less than five nor more than 30 years and a fine not to exceed $10,000. Since this is a new code section, the police have not yet developed proper protocols for field testing for synthetic cannabis – which means that you cannot be arrested on the street for possession or the like. The police may only arrest you for a synthetic marijuana offense AFTER they have properly tested the compound they seized from you in a laboratory and AFTER they have obtained a warrant for your arrest based on the test results. Virginia has something commonly referred to as a “251 Disposition.” This is a probation program for first time marijuana offenders, which leads to dismissal of first time charges. 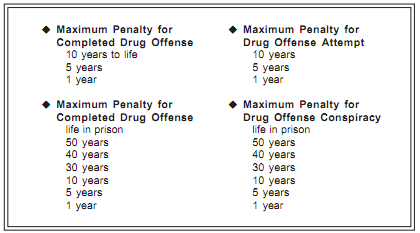 This program allows a judge to extend your case for probation, during which time you will be ordered: (i) to successfully complete treatment or education program or services, (ii) to remain drug and alcohol free during the period of probation and submit to such tests during that period as may be necessary and appropriate to determine if you are drug and alcohol free, (iii) to make reasonable efforts to secure and maintain employment, and (iv) to comply with a plan of at least 100 hours of community service for a felony and up to 24 hours of community service for a misdemeanor. Such testing will be conducted by personnel of the supervising probation agency or personnel of any program or agency approved by the supervising probation agency. The court will require you to pay all or part of the costs of the program, including the costs of the screening, assessment, testing, and treatment. Your drug charge defense lawyer will have to convince the prosecutor and the judge that this program is appropriate for you based on your circumstances and will have to make sure the case is in fact dismissed at the completion of your program. Another benefit of a 251 disposition under Va. Code § 18.2-251 is that it is not considered a conviction for immigration purposes. It is very important to NOT TO TAKE A 251 DISPOSITION IF YOU THINK THERE IS A CHANCE THAT YOU MAY COMMIT ANOTHER DRUG CRIME because the charge will come back in full effect under this disposition and will create a much more complicated legal situation for you. Please call an attorney ASAP if you are facing a 251 Disposition offer from the prosecutor to make sure that it is in your best interest to take such an offer. Virginia Code 18.2-258.1 criminalizes obtaining drugs or procuring administration of controlled substances by fraud, lying or forgery. This means that individuals who forge prescriptions for painkillers to increase the amount that is prescribed are committing a class 6 felony. Related crimes include: prescription pad theft, possessing fraudulent prescriptions, possessing prescription medicine not prescribed to you by a doctor, calling a pharmacy to order fake prescriptions, and using computers to facilitate all of the above. The attempt to commit a drug crime is punished very seriously in Virginia. An attempt is generally defined as making a direct step towards committing the crime, while intending to commit that crime. Intent is defined as a conscious purpose. Both intent to commit the crime and the direct step towards that crime are required. VA Code § 18.2-257 punishes attempts at a misdemeanor crime as a Class 2 Misdemeanor, which is punished by up to 6 months in jail. An attempt to commit a Felony drug crime is punished by up to 10 years in prison, which is the same maximum penalty as the actual, or completed, drug crime. Conspiracy to commit a drug offense is punished the same as the crime that was intended during the conspiracy. Conspiracy in Virginia is defined as an agreement between two or more people to commit a crime followed by some act by the conspirators that shows this agreement was made. Conspiracy to commit a drug offense is punished under VA Code 18.2-256. Paraphernalia is generally punished as a misdemeanor, with a few felony exceptions. Advertising drug paraphernalia is punished under VA Code 18.2-265.5 as a Class 1 misdemeanor with up to 12 months in jail. Distributing drug paraphernalia to a minor is also punished as a Class 1 misdemeanor with up to 12 months in jail. Sale, possession with intent to sell, etc. minor is also punished as a Class 1 misdemeanor with up to 12 months in jail. However, distributing drug paraphernalia to a minor who is at least 3 years your junior is a Class 6 felony punished by up to 5 years in prison. Schedule 1 drugs and narcotics have a high potential for abuse and have no accepted medical use in treatment in the United States, or lacks accepted safety for use in treatment under medical supervision. These drugs are prohibited by the Virginia Drug Control Act. Examples include: certain opiates, opium derivatives such as Heroin, and hallucinogenic drugs such as Shrooms, Peyote, Hashish oil (liquid marijuana), and Ecstasy (MDMA). See Virginia VA Code Section 54.1-3445 and Virginia VA Code Section 54.1-3446. Schedule 2 drugs and narcotics also have high potential for abuse and abuse of these substances may lead to severe psychic or physical dependence. However, these substances currently have accepted medical uses in treatment in the United States and Virginia, or currently have accepted medical use with severe restrictions. The list includes Meth, Opium, Codeine, Morphine, Oxycodone, and Cocaine and Crack. See Virginia VA Code Section 54.1-3447 and Virginia VA Code Section 54.1-3448. Schedule 3 drugs and narcotics have a lower potential for abuse than the substances listed in Schedules I and II and the drug may lead to either moderate or low physical dependence or high psychological dependence. These drugs have widespread medical use in treatment in the United Statesand Virginia. The most famous drugs in this categories are steroids. See Virginia VA Code Section 54.1-3449 and Virginia VA Code Section 54.1-3450. Virginia VA Code Section 18.2-248.5 provides a distinct punishment for knowingly manufacturing, selling, giving, distributing or possessing with intent to manufacture, sell, give or distribute, any anabolic steroid. This Felony offense carries a maximum penalty of 10 years in prison with as much as a $20,000.00 fine. This same Virginia Code Section makes it a Class 1 misdemeanor to knowingly sell or otherwise distribute, without prescription, a pill, capsule or tablet containing any combination of caffeine and ephedrine sulfate to a minor. This crime is punishable by up to 12 months in jail with a $2,500.00 fine. Schedule 4 drugs and narcotics have a lower potential for abuse than Schedule III drugs. These substances may lead to limited physical dependence or psychological dependence. These drugs also have widespread medical use in treatment in the United States and Virginia. See Virginia VA Code Section 54.1-3451 and Virginia VA Code Section 54.1-3452. These drugs have an even lower potential for abuse, with limited dependence potential, and are in widespread medical use in Virginia and across the states. Basically, these are specific, low doses of highly addictive narcotics such as codeine and opium. See Virginia VA Code Section 54.1-3453 and Virginia VA Code Section 54.1-3454. Schedule 6 drugs are the left-over drugs that haven’t been listed in other schedules. Basically, this is a catch-all drug provision. Samuel A. Ervin (appellant) was convicted of possession of marijuana with intent to distribute, in violation of Code § 18.2-248.1. Appellant argues on appeal that the evidence at trial was insufficient to prove beyond a reasonable doubt 1) that he constructively possessed the marijuana with knowledge of its nature and character and 2) that he possessed it with the requisite intent to distribute. A divided panel of this Court held that the evidence was insufficient to prove that appellant had guilty knowledge of the marijuana. See Ervin v. Commonwealth, No. 0861-09-1, 2010 WL 2482314, 2010 Va.App. LEXIS 249 (Va. Ct.App. June 22, 2010). We granted the Commonwealth’s petition for rehearing en banc and stayed the mandate of the panel’s decision. On rehearing en banc, we now lift the stay and affirm appellant’s conviction for possession of marijuana with intent to distribute for the reasons stated below. “Applying familiar principles of appellate review, we will state the facts in the light most favorable to the Commonwealth, the prevailing party at trial.” Williams v. Commonwealth, 278 Va. 190, 191, 677 S.E.2d 280, 281 (2009). On February 29, 2008, at 8:20 p.m., Portsmouth Officers O’Brien and Rad stopped a vehicle being driven by appellant after the officers observed a traffic violation. Appellant was the sole occupant of the vehicle. Neither officer observed him make any furtive movements during their observations of him. However, as the officers approached the vehicle, “a strong odor of marijuana” was discernible through the car’s open windows. The officers asked appellant for his driver’s license and for the vehicle’s registration. Appellant gave the officers his driver’s license, which was suspended, but did not produce any registration. The record does not indicate that appellant ever attempted to look for the registration (or help the officers locate it), but instead he simply told the officers that the vehicle was not his. After detecting the strong odor of marijuana coming from the vehicle and after determining that appellant’s driver’s license was suspended, the officers took appellant into custody and placed him in the police cruiser. The officers then searched the vehicle both for the source of the strong odor of marijuana and for the vehicle’s registration. Using the key that was in the vehicle’s ignition, Officer Rad unlocked the glove compartment. The officers immediately observed two Ziploc bags inside the glove compartment. One of the Ziploc bags held ten knotted plastic bag corners (“baggie corners”) containing marijuana, and the other Ziploc bag held thirteen baggie corners containing marijuana. No smoking devices or drug paraphernalia were found inside the vehicle or in appellant’s possession. The vehicle belonged to Tiffany Killabrew, the mother of appellant’s daughter. It was Killabrew’s “secondary car,” which she loaned to various people, including appellant, her brother, and her sister. Killabrew testified that appellant borrowed the vehicle sometime between 6:00 and 7:00 p.m. on February 29, 2008. 138*138 At trial, Officer Francisco Natal, an expert on the packaging and distribution of narcotics, testified that the marijuana found inside the glove compartment had a street value of over $200. Officer Natal explained that, in his expert opinion, the packaging of this quantity of marijuana was inconsistent with personal use. Furthermore, Officer Natal testified that he knew of no instance where someone possessed twenty-three individual baggie corners of marijuana for personal use. Well, his girlfriend whose car it was, took the stand and didn’t claim any ownership of it. Her only testimony was he used the car regularly and other people did too, so we don’t know who those other people are, they’re not here, they haven’t offered any testimony that they used the car. The only testimony is Mr. Ervin used the car and he was in the car when there was marijuana being used, at least I think you can infer that from the evidence, and he had the key to where the marijuana was locked in the glove compartment. The trial court also explained that the manner in which the marijuana was packaged proved that appellant possessed the marijuana with intent to distribute it. When the sufficiency of the evidence to support a conviction is challenged on appeal, “a reviewing court does not `ask itself whether it believes that the evidence at the trial established guilt beyond a reasonable doubt. '” Crowder v. Commonwealth, 41 Va. App. 658, 663, 588 S.E.2d 384, 387 (2003) (quoting Jackson v. Virginia, 443 U.S. 307, 318-19, 99 S.Ct. 2781, 2789, 61 L.Ed.2d 560 (1979)). “Viewing the evidence in the light most favorable to the Commonwealth, as we must since it was the prevailing party in the trial court,” Riner v. Commonwealth, 268 Va. 296, 330, 601 S.E.2d 555, 574 (2004), “[w]e must instead ask whether `any rational trier of fact could have found the essential elements of the crime beyond a reasonable doubt,'” Crowder, 41 Va.App. at 663, 588 S.E.2d at 387 (quoting Kelly v. Commonwealth, 41 Va.App. 250, 257, 584 S.E.2d 444, 447 (2003) (en banc)). See also Maxwell v. Commonwealth, 275 Va. 437, 442, 657 S.E.2d 499, 502 (2008). “This familiar standard gives full play to the responsibility of the trier of fact fairly to resolve conflicts in the testimony, to weigh the evidence, and to draw reasonable inferences from basic facts to ultimate facts.” Jackson, 443 U.S. at 319, 99 S.Ct. at 2789. Indeed, as we are an appellate court considering the sufficiency of the evidence on appeal, we must review the trial court’s factfinding “`with the highest degree of appellate deference. '” Noakes v. Commonwealth, 54 Va.App. 577, 586, 681 S.E.2d 48, 52 (2009) (en banc) (quoting Thomas v. Commonwealth, 48 Va.App. 605, 608, 633 S.E.2d 229, 231 (2006)), aff’d, 280 Va. 338, 699 S.E.2d 284 (2010); see McMillan v. Commonwealth, 277 Va. 11, 18-19, 671 S.E.2d 396, 399 (2009) (“We have stated that `[o]n appeal, great deference is given to the factfinder who, having seen and heard the witnesses, assesses their credibility and weighs their testimony. '” (quoting Young v. Commonwealth, 275 Va. 587, 590-91, 659 S.E.2d 308, 310 (2008))). We may not “`substitute our judgment for that of the trier of fact,'” Wactor v. 139*139 Commonwealth, 38 Va.App. 375, 380, 564 S.E.2d 160, 162 (2002) (quoting Commonwealth v. Presley, 256 Va. 465, 466, 507 S.E.2d 72, 72 (1998)), nor may we “reweigh the evidence,” Nusbaum v. Berlin, 273 Va. 385, 408, 641 S.E.2d 494, 507 (2007), because we have no authority “to preside de novo over a second trial,” Haskins v. Commonwealth, 44 Va.App. 1, 11, 602 S.E.2d 402, 407 (2004). We must defer, instead, to the factfinder’s responsibility “`to resolve conflicts in the testimony, to weigh the evidence, and to draw reasonable inferences from basic facts to ultimate facts. '” Abdullah v. Commonwealth, 53 Va.App. 750, 755, 675 S.E.2d 215, 218 (2009) (quoting Jackson, 443 U.S. at 319, 99 S.Ct. at 2789). As the Supreme Court recently stated in Sullivan v. Commonwealth, 280 Va. 672, 701 S.E.2d 61 (2010), this deference to the factfinder’s determinations “applies not only to findings of fact, but also to any reasonable and justified inferences the fact-finder may have drawn from the facts proved.” Id. at 676, 701 S.E.2d at 63-64. Therefore, under this highly deferential standard of review on appeal, “[t]he judgment of the trial court is presumed to be correct and will be reversed only upon a showing that it is `plainly wrong or without evidence to support it. '” Viney v. Commonwealth, 269 Va. 296, 299, 609 S.E.2d 26, 28 (2005) (quoting Code § 8.01-680); see also Burks v. United States, 437 U.S. 1, 17, 98 S.Ct. 2141, 2150, 57 L.Ed.2d 1 (1978) (stating that appellate reversal on grounds of insufficient evidence “will be confined to cases where the prosecution’s failure is clear”). “Practically speaking, this means [the trial court’s] decision cannot be disturbed on appeal unless no `rational trier of fact’ could have come to the conclusion it did.” Seaton v. Commonwealth, 42 Va.App. 739, 746, 595 S.E.2d 9, 12-13 (2004) (emphasis added) (citing Kelly, 41 Va.App. at 257, 584 S.E.2d at 447). In a prosecution for possession of a controlled substance, the Commonwealth must produce evidence sufficient to support a conclusion beyond a reasonable doubt that the defendant’s possession of the drug was knowing and intentional. Burton v. Commonwealth, 215 Va. 711, 713, 213 S.E.2d 757, 758 (1975). Actual or constructive possession alone is not sufficient. Id. at 713, 213 S.E.2d at 759. “The Commonwealth must also establish that the defendant intentionally and consciously possessed it with knowledge of its nature and character.” Id. (citations omitted) (emphasis added). That knowledge is an essential element of the crime. Young, 275 Va. at 591, 659 S.E.2d at 310; see also Logan v. Commonwealth, 19 Va.App. 437, 444, 452 S.E.2d 364, 368-69 (1994) (en banc) (“Constructive possession may be established by `evidence of acts, statements, or conduct of the accused or other facts or circumstances which tend to show that the defendant was aware of both the presence and the character of the substance and that it was subject to his dominion and control. '” (quoting Powers v. Commonwealth, 227 Va. 474, 476, 316 S.E.2d 739, 740 (1984))). Appellant does not appear to contest the trial court’s finding that the marijuana recovered from the glove compartment was subject to his dominion and control. However, he argues that the Commonwealth failed to prove beyond a reasonable doubt that he had the requisite guilty knowledge of this marijuana. 140*140 The trial court found that appellant’s possession of the marijuana was knowing and intentional, proving that he constructively possessed the marijuana. Young, 275 Va. at 591, 659 S.E.2d at 310. As an appellate court, “it is our duty to look to that evidence which tends to support the verdict” when the sufficiency of the evidence is challenged on appeal. Snyder v. Commonwealth, 202 Va. 1009, 1016, 121 S.E.2d 452, 457 (1961). Therefore, we look to the circumstantial evidence supporting the trial court’s verdict. See Haskins, 44 Va.App. at 6, 602 S.E.2d at 404 (“In drug cases no less than any other, it `is axiomatic that any fact that can be proved by direct evidence may be proved by circumstantial evidence. '” (quoting Etherton v. Doe, 268 Va. 209, 212-13, 597 S.E.2d 87, 89 (2004))). “While no single piece of [circumstantial] evidence may be sufficient, the `combined force of many concurrent and related circumstances, each insufficient in itself, may lead a reasonable mind irresistibly to a conclusion. '” Stamper v. Commonwealth, 220 Va. 260, 273, 257 S.E.2d 808, 818 (1979) (quoting Karnes v. Commonwealth, 125 Va. 758, 764, 99 S.E. 562, 564 (1919)). In other words, in a circumstantial evidence case, such as the case currently before us, the accumulation of various facts and inferences, each mounting upon the others, may indeed provide sufficient evidence beyond a reasonable doubt of a defendant’s guilty knowledge of contraband. This Court’s holding in Coward v. Commonwealth, 48 Va.App. 653, 633 S.E.2d 752 (2006), although not controlling given the very different facts in this case, is a useful guide for determining whether circumstantial evidence is sufficient as a matter of law to prove that a vehicle occupant knowingly and intentionally possessed drugs found in the car. In Coward, the police stopped a Toyota, in which Coward was the passenger, in the middle of the night for an equipment violation. Id. at 656, 633 S.E.2d at 753. As the officer approached the Toyota, he directed the lights on his police car toward the Toyota, and he also used his flashlight to further illuminate the interior of the car. Id. The officer was able to observe a clear plastic bag containing crack cocaine, sitting on the console between the driver’s and passenger’s seats. Id. The driver told the officer that the Toyota belonged to his mother and that he had been driving it all evening. Id. Coward made no statements to the officer. Id. At Coward’s trial, the trial court convicted Coward of possession of cocaine, basing its finding that Coward had guilty knowledge of the cocaine solely on his occupancy of the vehicle and his proximity to the cocaine. Id. at 658, 633 S.E.2d at 754. On appeal, this Court reversed Coward’s conviction, reiterating the familiar principle that mere occupancy and proximity, although factors to be considered among the totality of the circumstances, are insufficient standing alone to prove a defendant’s guilty knowledge of illegal drugs. Id. Therefore, although mindful of the deferential appellate standard of review in a sufficiency of the evidence case, id. at 657, 633 S.E.2d at 753, this Court held that the evidence at Coward’s trial was insufficient as a matter of law because it “did not establish any other facts or circumstances necessary to draw the legal conclusion that Coward was aware of the presence and character of the cocaine.” Id. at 659, 633 S.E.2d at 754 (emphasis added). Here, unlike in Coward, the evidence at trial did present other facts and circumstances permitting the trial court to draw the conclusion that appellant was aware of the presence and character of the marijuana in the glove compartment—and these facts and circumstances may be considered in addition to appellant’s occupancy of the vehicle and proximity to the marijuana. Based on the combined force of these concurrent and related circumstances, the trial court’s finding that appellant had guilty knowledge of the marijuana in the glove compartment was not plainly wrong or unsupported by the evidence. A defendant’s knowledge of the presence and character of a drug may be shown by evidence of the acts, statements, or conduct of the accused, Garland v. Commonwealth, 225 Va. 182, 184, 300 S.E.2d 783, 784 (1983), as well as by “other facts or circumstances” tending to demonstrate the 141*141 accused’s guilty knowledge of the drug, Williams v. Commonwealth, 42 Va.App. 723, 735, 594 S.E.2d 305, 311 (2004). As the Supreme Court of Virginia recently explained in Young, a “drug’s distinctive odor” can be circumstantial evidence to support a finding that a defendant knew of the nature and character of the substance in his possession. Young, 275 Va. at 591, 659 S.E.2d at 310. Here, appellant was driving a vehicle that smelled strongly of marijuana—the very same illegal drug discovered in the vehicle’s glove compartment. This odor, which was readily discernible to both officers as marijuana when they approached appellant’s vehicle, would certainly have been apparent to appellant as he sat in the vehicle. The strong and distinctive odor of the drug provided a significant indication to anyone inside (or even near) the vehicle that marijuana was located within the vehicle. See id. at 592, 659 S.E.2d at 311 (distinguishing the facts in Young’s case, where the contents of a pill bottle “gave no indication of their character,” from the facts in Josephs v. Commonwealth, 10 Va.App. 87, 390 S.E.2d 491 (1990), which involved “the odoriferous contents” of a trunk containing marijuana). Based on the officers’ testimony, the trial court found that the strong marijuana odor emanating from the vehicle was from marijuana that had been smoked. Making a distinction between the smell of burnt marijuana and “fresh” (i.e., not burnt) marijuana, appellant contends that the trial court erroneously inferred that he was aware of the marijuana in the glove compartment, which was fresh, based on the readily discernible smell of burnt marijuana. However, viewing all the evidence in the light most favorable to the Commonwealth, “as we must since it was the prevailing party in the trial court,” Riner, 268 Va. at 330, 601 S.E.2d at 574, the trial court’s finding that appellant had guilty knowledge of the marijuana in the glove compartment is strengthened by the trial court’s finding concerning the marijuana odor. The trial court not only found that the officers smelled already smoked marijuana, it also found that the marijuana had been recently smoked by appellant or someone in the car with him. The trial court’s finding, which was certainly not unreasonable given the officers’ testimony concerning the strength and obviousness of the marijuana odor as they approached the vehicle, is entitled to deference during appellate review for sufficiency of the evidence. Hancock v. Commonwealth, 12 Va.App. 774, 782, 407 S.E.2d 301, 306 (1991). 142*142 Furthermore, Killabrew’s testimony established that appellant took possession of the vehicle between 6:00 and 7:00 p.m., approximately two hours before the traffic stop. Thus, the trial court’s inference that the marijuana detected by the officers must have been smoked—either by appellant or by someone else in appellant’s presence—while appellant was in possession of the vehicle was “reasonable and justified” based on the strength of the odor. Sullivan, 280 Va. at 676, 701 S.E.2d at 63-64. Therefore, the officers’ detection of the strong odor of recently burnt marijuana certainly does not undermine the trial court’s conclusion that appellant was aware of the “fresh” marijuana in the glove compartment. See Jackson, 443 U.S. at 319, 99 S.Ct. at 2789 (stating that it is the province of the factfinder to draw reasonable inferences from basic facts to ultimate facts). Nothing in this record suggests any other means, in the approximately two hours that appellant had possessed the car, of creating such a strong odor of marijuana that people could readily identify the odor before actually reaching the vehicle. Therefore, the presence of the strong odor of marijuana from within the vehicle is one factor to consider in this case because it tends “to show or allow[ ] the trial court to reasonably infer” that appellant was aware of the marijuana in the glove compartment. Coward, 48 Va.App. at 659, 633 S.E.2d at 754. However, the strong odor of marijuana emanating from the vehicle, readily discernible by each of the officers, is not viewed in isolation of the other facts presented by this record on appeal. Commonwealth v. Hudson, 265 Va. 505, 514, 578 S.E.2d 781, 786 (2003). Instead, this factor must be viewed among the totality of the circumstances presented to the trial court. Several additional facts and circumstances in the record here further support the trial court’s finding that appellant was aware of the presence and character of the marijuana discovered in the glove compartment. Appellant was in sole possession of the vehicle at the time the marijuana was found. Contra Coward, 48 Va.App. at 656, 633 S.E.2d at 753 (reversing a cocaine possession conviction where Coward was a passenger in a vehicle containing cocaine and where the driver acknowledged that his mother owned the vehicle and that he drove that car all evening). Appellant also possessed the key to the vehicle and its glove compartment and, therefore, was the sole person at that time with means to access the glove compartment containing the marijuana. The trial court, acting as factfinder in this case, was permitted to consider these facts as circumstances further indicating appellant’s guilty knowledge of the marijuana found in the glove compartment. The Supreme Court’s recent holding in Cordon v. Commonwealth, 280 Va. 691, 701 S.E.2d 803 (2010), is not controlling on the very different facts in this case. In Cordon, a police detective interviewed Cordon while investigating a burglary that occurred at a house on Finley Square in the City of Hampton. Id. at 693, 701 S.E.2d at 804. Cordon told the detective that his uncle, who was not present at that time, owned the house. Id. at 693, 701 S.E.2d at 805. Cordon said that he had been living in the Finley Square house while his uncle had been away and that one of its bedrooms was his, but Cordon also indicated in a handwritten statement regarding the burglary that an address in the City of Newport News was his residence. Id. at 693, 696, 701 S.E.2d at 805, 806. Two days 143*143 later, the police executed a search warrant at the Finley Square house. Cordon’s uncle was present, but Cordon was not. Id. at 693, 701 S.E.2d at 804. The police found a cooler containing cocaine in the bedroom that Cordon had identified as his own two days before during his interview with the detective. Id. Cordon was not in the house or the bedroom when the cooler containing the cocaine was discovered. There was no other physical evidence linking Cordon to the cooler or the contraband. The record showed that two days had passed between the time Cordon was known to be at the Finley Square house and the seizure of the cooler containing cocaine. While he referred to the bedroom as “his” and stated that he was staying there while his uncle was away at the time of the September burglary, Cordon listed his address as a location in Newport News. There was no evidence of ownership of the cooler, a very portable item, and no evidence placed Cordon at the house at any time between the day he received Baer’s business card and the day the search warrant was executed. Id. at 696, 701 S.E.2d at 806 (emphasis added). Thus, as the Supreme Court emphasized, two days passed between when Cordon was known to occupy this bedroom of his uncle’s house and when the cocaine actually was discovered in the cooler in the bedroom. Id. This gap in the evidence against Cordon was consistent with his hypothesis of innocence that someone other than he had placed the cooler of cocaine in the bedroom of his uncle’s house without Cordon’s knowledge. The evidence here contrasts sharply with the evidence in Cordon. Appellant was present in the vehicle while the vehicle strongly smelled of marijuana and while its glove compartment held marijuana; appellant was the sole occupant of the vehicle at that time; and appellant had exclusive possession of the key that was capable of opening the glove compartment containing the baggies of cocaine— which were immediately observable upon opening the glove compartment. All of these circumstances, which simply did not exist in Cordon, render the Supreme Court’s holding in Cordon inapplicable to the facts of this case. The Commonwealth presented no evidence from which one reasonably could infer that Burchette occupied the vehicle or had exercised dominion over it while the marijuana was present in it. The evidence failed to show either when Burchette may have used or occupied the vehicle or when or for how long the drugs or paraphernalia had been in it. The evidence failed to show that Burchette was the exclusive or primary operator of the vehicle, or that he possessed a set of keys to the vehicle, or when or by whom the vehicle had been most recently operated or occupied. The circumstances were not such that one reasonably could infer, to the exclusion of other reasonable hypotheses, that Burchette, as the owner of the vehicle, knew of the presence, nature and character of the contraband that was found in it. Id. at 435-36, 425 S.E.2d at 84 (emphasis added). Unlike in Burchette, the Commonwealth here presented evidence establishing that appellant was in sole possession of the vehicle 144*144 and was in possession of the key to the vehicle. The evidence also proved that appellant possessed the key to the glove compartment while the marijuana was in that glove compartment and while the vehicle smelled strongly of marijuana. The speculation required in Burchette was not required here, as these circumstances considered missing in Burchette are found here. Collectively, these circumstances support the factfinder’s conclusion that appellant knew the nature and character of the leafy substance found in the glove compartment. However, additional circumstances in this record provide still further support for the court’s finding of guilt. The officers’ testimony reflects that appellant did not attempt to retrieve the vehicle’s registration from the glove compartment— where, of course, the officers eventually found the marijuana—despite the glove compartment’s obvious utility as “a customary place” to find a vehicle’s registration. South Dakota v. Opperman, 428 U.S. 364, 372, 96 S.Ct. 3092, 3098, 49 L.Ed.2d 1000 (1976) (noting that the glove compartment is “a customary place for documents of ownership and registration, as well as a place for the temporary storage of valuables” (citation omitted)). Indeed, when asked to produce a vehicle’s registration, suspects routinely access a vehicle’s glove compartment, see, e.g. Hill v. Commonwealth, 52 Va.App. 313, 317, 663 S.E.2d 133, 135 (2008); Commonwealth v. Thomas, 23 Va.App. 598, 603, 478 S.E.2d 715, 717 (1996); United States v. Wheeler, 525 F.3d 1254, 1255 (D.C.Cir.2008); Coombs v. Maine, 202 F.3d 14, 15 (1st Cir.2000); United States v. Schiavo, 29 F.3d 6, 8 (1st Cir. 1994), even in instances, like here, where the vehicle is not actually owned by the suspect, see Williams, 42 Va.App. at 728, 594 S.E.2d at 308; United States v. Reese, 561 F.2d 894, 897 (1st Cir.1975); Scott v. United States, 369 F.2d 183, 184 (4th Cir.1966). Here, however, despite being asked by the officers to produce both the registration and his driver’s license, appellant readily provided the officers with only his driver’s license, which was suspended. He did not even attempt to retrieve the vehicle’s registration from the glove compartment. This evidence suggests that appellant was reluctant to access, in the officers’ presence, the glove compartment where the drugs were located. Cf. McMillan, 277 Va. at 20, 671 S.E.2d at 400 (finding the fact that the defendant refused to open the glove compartment in which the drugs were subsequently found was a relevant, probative factor in finding him guilty of possession of cocaine). Based on this apparent reluctance to open the glove compartment, where the vehicle’s registration would customarily be located, Opperman, 428 U.S. at 372, 96 S.Ct. at 3098, a rational factfinder could infer that appellant knew, if he opened the glove compartment, 145*145 the officers would immediately observe the illegal substance. Again, considered in isolation this fact perhaps would not provide sufficient evidence on appeal to support the factfinder’s determination that appellant was aware of the character and nature of the substance in the glove compartment. However, considered together with all the evidence presented at trial, this fact adds to the mounting collection of circumstances that support the trial court’s finding of guilt. Q: You’re familiar with the smell of marijuana? Q: “Yes” or “no”? What’s maybe mean? Q: Sometimes when you smell marijuana, you know it’s marijuana? A: No, not really. Usually you can smell like—no, not really. I’m not even going to claim that. Not really. This Court, following the precedent of the United States Supreme Court, has recognized a “`general principle of evidence law that the factfinder is entitled to consider a party’s dishonesty about a material fact as `affirmative evidence of guilt. '” Haskins, 44 Va.App. at 11 n. 3, 602 S.E.2d at 407 n. 3 (quoting Reeves v. Sanderson Plumbing Prods., Inc., 530 U.S. 133, 147, 120 S.Ct. 2097, 2108, 147 L.Ed.2d 105 (2000)). Here, given the strong odor of marijuana emanating from the vehicle and the circumstantial nature of this case, appellant’s ability to recognize the smell of marijuana certainly concerned a relevant and material fact. The trial court, therefore, was permitted to assign appropriate weight to appellant’s equivocal testimony that perhaps he could, and then that he could not, recognize the smell of marijuana. Again, this evidence is not an isolated factor in this case, but instead is 146*146 further support for the trial court’s determination that, based on the totality of the circumstances, appellant was aware of the presence of the marijuana in the glove compartment. Although appellant asserts that the evidence failed to exclude the possibility that the marijuana baggies belonged to someone else and that he was simply unaware of the presence of drugs in the glove compartment, the Commonwealth “is not required to prove that there is no possibility that someone else may have planted, discarded, abandoned or placed the contraband where the contraband is discovered.” Kromer v. Commonwealth, 45 Va.App. 812, 819, 613 S.E.2d 871, 875 (2005) (citation and brackets omitted). A factfinder is permitted to infer that “drugs are a commodity of significant value, unlikely to be abandoned or carelessly left in an area.” Ward v. Commonwealth, 47 Va.App. 733, 753 n. 4, 627 S.E.2d 520, 530 n. 4 (2006) (citing Powell v. Commonwealth, 27 Va.App. 173, 178, 497 S.E.2d 899, 901 (1998)). Here, it is uncontested that the key to the vehicle’s ignition also unlocked the glove compartment. The glove compartment’s lock provided little security—given several people were known to use the vehicle. Thus, the person who put the marijuana in the glove compartment did so knowing that anyone who drove the vehicle would have the ability to open the locked glove compartment—for any reason—and would then see the marijuana, which was readily observable the moment the glove compartment was opened since it was then in plain view as it was not hidden by anything in the glove compartment. Any other driver of the vehicle, therefore, could easily take that marijuana from the glove compartment. Under these circumstances, the trial court was entitled to find it highly unlikely that someone else simply left the marijuana— which had a street value of over $200—in the glove compartment of the car. This inference is another factor supporting the trial court’s finding that appellant possessed the marijuana with knowledge of its nature and character. See Bowling v. Commonwealth, 51 Va.App. 102, 107, 654 S.E.2d 354, 356 (2007) (“[W]hen we consider the sufficiency of the evidence . . . we review the totality of the evidence to determine whether it was sufficient to prove an offense.”). Despite the accumulation of these various facts and circumstances, appellant contends that the trial evidence did not foreclose the possibility that someone other than appellant used marijuana in the car, creating the odor of marijuana that the officers smelled, prior to appellant’s taking possession of it, or that someone other than appellant used marijuana before getting into the vehicle with appellant. Both of these possibilities, he asserts, would explain the strong odor of marijuana that was readily discernible by the officers without implicating appellant’s guilty knowledge of the marijuana recovered from the glove compartment. “[w]hether the hypothesis of innocence is reasonable is itself a `question of fact,’ Emerson v. Commonwealth, 43 Va.App. 263, 277, 597 S.E.2d 242, 249 (2004) (citation omitted), subject to deferential appellate review, Kelly, 41 Va.App. at 259, 584 S.E.2d at 448.” Haskins, 44 Va.App. at 9, 602 S.E.2d at 406. “Merely because defendant’s theory of the case differs from that taken by the Commonwealth does not mean that every reasonable hypothesis consistent with his innocence has not been excluded.” Miles v. Commonwealth, 205 Va. 462, 467, 138 S.E.2d 22, 27 (1964). “By finding the defendant guilty, therefore, the 147*147 factfinder `has found by a process of elimination that the evidence does not contain a reasonable theory of innocence. '” Haskins, 44 Va.App. at 9, 602 S.E.2d at 406 (quoting United States v. Kemble, 197 F.2d 316, 320 (3d Cir.1952)). Clanton v. Commonwealth, 53 Va.App. 561, 572-73, 673 S.E.2d 904, 910 (2009) (en banc); see Lyons v. City of Petersburg, 221 Va. 10, 13, 266 S.E.2d 880, 881 (1980) (“Circumstantial evidence is sufficient to convict if it excludes every reasonable hypothesis of innocence. This occurs when the trier of facts has an abiding conviction of the guilt of the accused.” (emphasis added)). The rejection of a hypothesis of innocence “is binding on appeal unless plainly wrong,” Archer v. Commonwealth, 26 Va. App. 1, 12-13, 492 S.E.2d 826, 832 (1997)— even if there is “some evidence to support” the hypothesis of innocence. Hudson, 265 Va. at 513, 578 S.E.2d at 785. For example, in Clanton, an en banc opinion of this Court, “[t]he evidence permitted conflicting inferences, including the inference that the assailants took the infant from her father solely at his request and not to facilitate the robbery.” 53 Va.App. at 573, 673 S.E.2d at 910. However, this Court affirmed the rejection of this hypothesis of innocence because the trial court did not arbitrarily adopt an interpretation of the evidence that incriminated Clanton. Id. This Court’s opinion in Clanton reflects that, on appellate review for the sufficiency of the evidence, the factfinder’s rejection of a hypothesis of innocence “`cannot be overturned as arbitrary unless no rational factfinder would have come to that conclusion. '” Id. (quoting Haskins, 44 Va. App. at 9, 602 S.E.2d at 406). Here, the trial court, as factfinder, did not arbitrarily reject appellant’s hypothesis of innocence. Rather, as discussed above, numerous circumstances allowed the trial court to infer appellant’s knowledge of the marijuana found in the glove compartment—and this Court must view and analyze these circumstances in their totality, not separately. Hudson, 265 Va. at 514, 578 S.E.2d at 786. No evidence in the record required the trial court to accept appellant’s speculative hypotheses regarding how the vehicle came to have such a strong odor of marijuana without any participation by him at all in the creation of that odor. The evidence placed appellant in sole possession of the vehicle for a period of approximately two hours prior to the traffic stop, and the vehicle emanated the strong odor of marijuana when the traffic stop occurred. From the moment he took sole possession of the vehicle until the moment he was placed in the police cruiser, appellant had exclusive access to the contents of the glove compartment, including the marijuana, which was immediately observable upon opening the glove compartment. Although the officers requested appellant’s driver’s license and the vehicle’s registration, appellant did not attempt to retrieve the registration from the glove compartment, where a vehicle’s registration is customarily kept (and, of course, where the marijuana had been placed), even though appellant readily provided the officers with his driver’s license, which was suspended. Viewed in its totality, this evidence was consistent with appellant’s guilty knowledge of the marijuana in the glove compartment. See Moore v. Commonwealth, 254 Va. 184, 189, 491 S.E.2d 739, 742 (1997). In addition, testifying in his own defense, appellant denied that the marijuana worth 148*148 over $200 was his, and—after some equivocation—claimed that he could not even recognize the smell of marijuana. The trial court obviously rejected this self-serving testimony and, therefore, could consider it as additional evidence pointing to appellant’s guilty knowledge of the valuable marijuana inside the vehicle. See Spangler v. Commonwealth, 188 Va. 436, 438, 50 S.E.2d 265, 266 (1948) (explaining that, when a defendant “proceeds to introduce evidence in his own behalf,” the prosecution’s case “may be strengthened by defendant’s evidence”); see also Marable v. Commonwealth, 27 Va.App. 505, 509-10, 500 S.E.2d 233, 235 (1998). Consequently, based on the combined effect of all of the facts and circumstances presented at trial, which were far more significant than appellant’s mere occupancy of the vehicle in which drugs were found and proximity to those drugs, contra Coward, 48 Va.App. at 658, 633 S.E.2d at 754, we cannot say that the trial judge here was not a rational factfinder—just as we cannot say that no rational factfinder in this Commonwealth could have found beyond a reasonable doubt that appellant constructively possessed this marijuana with knowledge of its nature and character. Without conceding that he possessed the marijuana, appellant also argues that the evidence was insufficient to prove that he intended to distribute the marijuana recovered from the glove compartment. He contends that the evidence did not foreclose the possibility that the marijuana was packaged for personal use. We disagree with appellant’s argument. “`Because direct proof of intent [to distribute drugs] is often impossible, it must be shown by circumstantial evidence. '” Welshman v. Commonwealth, 28 Va.App. 20, 37, 502 S.E.2d 122, 130 (1998) (en banc) (quoting Servis v. Commonwealth, 6 Va.App. 507, 524, 371 S.E.2d 156, 165 (1988)). Factors that a trial court may consider as indicators that a defendant intended to distribute the illegal drugs in his possession include the “possession of a quantity [of drugs] greater than that ordinarily possessed for one’s personal use,” Iglesias v. Commonwealth, 7 Va.App. 93, 110, 372 S.E.2d 170, 180 (1988) (en banc), “the method of packaging of the controlled substance,” and “the absence of any paraphernalia suggestive of personal use,” Welshman, 28 Va.App. at 37, 502 S.E.2d at 130. “Expert testimony, usually that of a police officer familiar with narcotics, is routinely offered to prove the significance of the weight and packaging of drugs regarding whether it is for personal use.” Askew v. Commonwealth, 40 Va.App. 104, 109, 578 S.E.2d 58, 61 (2003). Appellant contends that Dukes v. Commonwealth, 227 Va. 119, 313 S.E.2d 382 (1984), and Rice v. Commonwealth, 16 Va. App. 370, 429 S.E.2d 879 (1993), where convictions for possession of marijuana with intent to distribute were reversed, compel reversal here. However, those cases are readily distinguishable from the facts of this case. The Supreme Court held in Dukes that “[t]he mode of packaging [the marijuana] and the way the packages were hidden are as consistent with possession for personal use as they are with intent to distribute.” 227 Va. at 123, 313 S.E.2d at 384 (emphasis added). Here, the marijuana recovered from the glove compartment was packaged in twenty-three individual baggie corners. Officer Natal, the Commonwealth’s expert witness on the packaging and distribution of narcotics, testified that he had never before seen an instance where someone possessed twenty-three individual baggie corners of marijuana for personal use. Thus, the evidence in this case proved that the packaging was much more consistent with distribution than with personal use—evidence that was not presented to the trial court in Dukes. Furthermore, in Rice, the defendant’s “possession of 0.74 ounces of marijuana and almost $5,000 in cash, without more,” was found insufficient by itself to support his conviction for possession with intent to distribute “when the evidence also showed that the marijuana was found in one baggie and that appellant himself tested positive for marijuana use.” 16 Va. App. at 372, 429 149*149 S.E.2d at 880 (emphasis added). Unlike in Rice, in this case an expert provided unrebutted testimony that the marijuana was packaged for distribution. See Scott v. Commonwealth, 55 Va.App. 166, 174, 684 S.E.2d 833, 837 (2009) (“[T]he drugs were packaged individually in baggie corners, making them easier and more profitable to sell.” (citation omitted)). Therefore, neither Dukes nor Rice is controlling in this case. The trial court here was not plainly wrong in finding that the packaging of the marijuana in twenty-three individual baggie corners evinced appellant’s intent to distribute the marijuana. Appellant at the time of the traffic stop was in sole possession of the vehicle and possessed the key to the glove compartment, which contained marijuana valued at over $200, at the same time that the vehicle smelled strongly of the distinctive odor of marijuana, which the trial court found had been recently burnt. Appellant made no attempt to retrieve the vehicle’s registration from the glove compartment when asked to provide the registration—even though he readily provided his driver’s license, which was suspended—and then testified at trial that the marijuana was not his and that he was, perhaps, not familiar with the smell of marijuana, which the trial court, as factfinder, did not believe. An expert testified that the packaging of the marijuana was inconsistent with personal use. Based on the totality of the circumstances found in this record, there was sufficient evidence for a rational factfinder to conclude beyond a reasonable doubt that appellant knowingly possessed the marijuana and to find that appellant intended to distribute the marijuana. Accordingly, we affirm appellant’s conviction for possession of marijuana with intent to distribute. ALSTON, J., with whom ELDER, HUMPHREYS, HALEY, and POWELL, JJ., join, dissenting. Although I respect the scholarly analysis of the majority, I find the Commonwealth failed to present sufficient evidence to establish appellant’s possession of marijuana with knowledge of its nature and character. Accordingly, I would reverse appellant’s conviction without reaching the merits of his second argument. Thus, I respectfully dissent from the majority opinion. Virginia’s jurisprudence is clear that the Commonwealth was required to prove both that appellant exercised dominion and control over the marijuana, as shown by his possession of the keys to the locked glove compartment, and that he was aware of the presence and character of the marijuana. It is the majority’s conclusion as to the latter factor with which I cannot agree, as the result reached by the majority in this regard is irreconcilable with controlling precedent, both new and old. As the majority notes, supra at 504-05, 703 S.E.2d at 139-40 (citing Young v. Commonwealth, 275 Va. 587, 591, 659 S.E.2d 308, 310 (2008)), to sustain a conviction for possession of marijuana, “[t]he Commonwealth was required to prove that [appellant] `intentionally and consciously possessed’ the [marijuana], either actually or constructively, with knowledge of its nature and character.” Wilkins v. Commonwealth, 18 Va.App. 293, 298, 443 S.E.2d 440, 444 (1994) (quoting Josephs v. Commonwealth, 10 Va.App. 87, 99, 390 S.E.2d 491, 497 (1990) (en banc)). Here, the parties agree that our analysis is guided by principles of constructive possession. Constructive possession “can be shown by `acts, statements, or conduct of the accused or other facts or circumstances which tend to show that the accused was aware of both the presence and character of the substance and that it was subject to his dominion and control. '” Haskins v. Commonwealth, 44 Va. App. 1, 6, 602 S.E.2d 402, 404 (2004) (emphasis added) (quoting Williams v. Commonwealth, 42 Va.App. 723, 735, 594 S.E.2d 305, 311 (2004) (internal brackets and citation omitted in original)). in order for ownership or occupancy of property or of a vehicle to be sufficient to support the inference that the owner or occupant also possessed contraband that was located on the property or in the vehicle, the owner or occupant must be shown to have exercised dominion and control over the premises and to have known of the presence, nature, and character of the contraband at the time of such ownership or occupancy. Burchette v. Commonwealth, 15 Va.App. 432, 435, 425 S.E.2d 81, 83-84 (1992) (emphasis added) (citing Gillis v. Commonwealth, 215 Va. 298, 301-02, 208 S.E.2d 768, 770-71 (1974)). Actual or constructive possession alone is not sufficient to prove that the drug possession was knowing and intentional. Young, 275 Va. at 591, 659 S.E.2d at 310. Coward, 48 Va.App. at 658, 633 S.E.2d at 754 (quoting Burchette, 15 Va.App. at 435, 425 S.E.2d at 83) (alterations in Coward) (emphasis omitted). In Coward, this Court reversed the defendant’s conviction for possession of cocaine because the Commonwealth failed to present sufficient evidence that Coward was aware of the nature and character of the cocaine, located in the passenger console and immediately visible to the police officer who approached the vehicle in which Coward was a passenger. Id. at 660, 633 S.E.2d at 755. White, the driver of the car, told the officer that the car belonged to White’s mother, but that he had been using the car “all evening” and no one else had driven or used the vehicle that night. Id. at 656, 633 S.E.2d at 753. Still, this Court held the Commonwealth did not establish any facts or circumstances, other than Coward’s occupancy of the car and proximity to the cocaine, “necessary to draw the legal conclusion that Coward was aware of the presence and character of the cocaine,” despite the fact that the cocaine was in plain sight upon the passenger console of the vehicle. Id. at 659, 633 S.E.2d at 754. This Court noted that “Coward did not attempt to hide the baggie containing the cocaine as the officer approached the car nor did he exhibit any other signs of guilty knowledge.” Id. at 659-60, 633 S.E.2d at 754. Thus, the Commonwealth did not meet its burden of proof beyond a reasonable doubt. Id. at 659, 633 S.E.2d at 754. I suggest the facts of the instant case are analogous to those in Coward and therefore cannot accept the majority’s conclusion. The majority concludes that Coward is distinguishable from the instant case, because the evidence at trial presented other indicia of appellant’s knowledge of the presence and character of the marijuana in the glove compartment, in addition to appellant’s occupancy of the vehicle and proximity to the marijuana. Supra at 506-07, 703 S.E.2d at 140-41. The five additional circumstances on which the majority opinion relies include: the odor of burnt marijuana; appellant’s possession of the keys that unlocked the glove compartment; appellant’s apparent reluctance to access the vehicle’s glove compartment; the “abandonment” of the drugs in the vehicle; and appellant’s “equivocation” in his statement regarding knowledge of the smell of marijuana. I respectfully disagree with the majority’s portrayal of each of these facts and the legal significance the majority awards to them. First, the majority places great emphasis on the smell of marijuana emanating from the vehicle. The evidence established that when the officers approached the driver’s side of the vehicle, they smelled a strong 151*151 odor of marijuana coming from the car. As the majority notes, the trial judge interpreted the evidence as suggesting the odor was that of marijuana that had been smoked, i.e. burnt marijuana. Supra at 507-08, 703 S.E.2d at 141. The trial court stated, “Either [appellant] had been smoking [marijuana] or he had recently just had someone in the car who was smoking it.” There was no evidence that the odor detected by the officers was coming from appellant’s person, that appellant appeared intoxicated, that appellant showed any physical signs of having recently used marijuana, or that appellant possessed any drugs or drug paraphernalia on his person. Moreover, no matches, smoking devices, or remnants of previously smoked marijuana were apparently found in the car. The record does not show that the odor was that of fresh marijuana, which might indicate that appellant had at least reason to suspect the vehicle contained fresh marijuana. The majority dismisses the importance of the distinction between the smell of fresh marijuana and the smell of burnt marijuana by noting simply that “viewing all the evidence in the light most favorable to the Commonwealth . . . the trial court’s finding that appellant had guilty knowledge of the marijuana in the glove compartment is strengthened by the trial court’s finding concerning the marijuana odor.” Supra at 508, 703 S.E.2d at 141. However, the majority gives no reason why the trial court could reasonably infer, based on the smell of burnt marijuana, that appellant was aware of fresh marijuana in the glove compartment. Evidence of the smell of burnt marijuana simply does not provide a nexus from which the trial court could conclude appellant knew of the fresh marijuana in the glove compartment. In Josephs, there was ample circumstantial evidence to support the trial court’s conclusion that the defendant was aware of the nature and character of the drugs that she jointly possessed, and it was unnecessary for the Court of Appeals to rely on an inference of guilty knowledge based on possession alone. . . . Countless scenarios can be envisioned in which controlled substances may be found in the possession of a person who is entirely unaware of their nature and character. Young, 275 Va. at 592, 659 S.E.2d at 310-11 (emphasis added). Most significantly, in the Josephs case, the defendant by her own statement conceded that she was aware of the substance as she acknowledged that it was the first time she had “driven with that stuff.” Josephs, 10 Va.App. at 100, 390 152*152 S.E.2d at 498. I respectfully disagree with the majority’s conclusion that Josephs supports the proposition that “[t]he strong and distinctive odor of the drug provided a significant indication to anyone inside (or even near) the vehicle that marijuana was located within the vehicle” in this case. Supra at 507, 703 S.E.2d at 141. In Josephs, the smell emanating from the trunk of the car was apparently that of fresh marijuana, the same form of marijuana found in the trunk. In contrast, in the case at bar, the smell of burnt marijuana in the vehicle provided no indication that fresh marijuana could also be found in the car. The majority also relies upon the trial court’s finding that the officers smelled marijuana that had been recently smoked by appellant or someone in the car with him and that appellant had taken possession of the vehicle approximately two hours before the traffic stop. Supra at 508-09, 703 S.E.2d at 141-42. Even if the trial court was entitled to conclude, based on the officers’ testimony about the strength of the smell of the marijuana, that it had been “recently” smoked, 153*153 this does not necessarily support the holding that appellant was aware of the character and nature of the marijuana in the glove compartment. Appellant took possession of the vehicle only two hours before the traffic stop. Marijuana could have been smoked in the car hours before appellant took possession of the vehicle and still resulted in a strong odor of marijuana suggesting it was “recently” smoked in the car. The majority’s emphasis on the odor of marijuana is counter to the language of Young suggesting that of the distinctive odor of a drug is not, by itself, sufficient circumstantial evidence to establish a defendant’s knowledge of the character and presence of the drug. Although the majority cites additional factors that purportedly constitute circumstantial evidence of appellant’s knowledge of the presence and character of the marijuana, their primary reliance on the odor of the drug in the car effectively affirms the conviction of appellant on the basis of possession of the odor of marijuana. Even more problematically, the smell of burnt marijuana is simply not indicative of the presence of fresh marijuana. Thus, the presence of the distinctive odor of burnt marijuana is not sufficient to establish appellant’s knowledge of the fresh marijuana in the glove compartment. Next, the majority notes that appellant was the sole person with means to access the glove compartment containing the marijuana. Supra at 509-10, 703 S.E.2d at 142. While this establishes appellant’s dominion and control over the vehicle and the items located therein, see Wright v. Commonwealth, 53 Va.App. 266, 274, 670 S.E.2d 772, 776 (2009); Bell v. Commonwealth, 21 Va.App. 693, 698-99, 467 S.E.2d 289, 291-92 (1996), this fact does not prove appellant’s knowledge about the nature and character of those items, see Young, 275 Va. at 591, 659 S.E.2d at 310. In this case, the key that unlocked the glove compartment was the same key that was necessary to operate the vehicle. Put simply, the fact that appellant possessed that key does not logically lead to the inference, beyond a reasonable doubt, that appellant knew the glove compartment’s contents. Further, the majority notes that appellant did not attempt to produce the vehicle’s registration and cites this failure as evidence that appellant was aware of the marijuana in the glove compartment. Supra at 513-15, 703 S.E.2d at 144-45. However, there is no evidence to suggest appellant refused to produce the registration or that he refused to look in the vehicle’s glove compartment. Rather, appellant’s testimony, corroborated by the arresting officers, was that when the officers approached the vehicle, appellant explained that he did not have the vehicle’s registration because the car did not belong to him. Notably, the officers asked appellant for “his driver’s license and registration,” rather than simply “the registration” for the vehicle. Thus, appellant’s statement that the vehicle did not belong to him was responsive to the officers’ request; appellant was simply anticipating the officers’ reason for requesting the registration and advising the officers that the registration would show he was not the owner of the vehicle. Despite the majority’s reliance on South Dakota v. Opperman, 428 U.S. 364, 372, 96 S.Ct. 3092, 3098, 49 L.Ed.2d 1000 (1976), supra at 514-15, 703 S.E.2d at 144-45, Opperman is not instructive under the circumstances of this case. There, the Supreme Court, in a Fourth Amendment analysis discussing the validity of an inventory search, 154*154 noted that “standard inventories often include an examination of the glove compartment, since it is a customary place for documents of ownership and registration, as well as a place for the temporary storage of valuables.” Id. (citation omitted). Likewise, the majority cites cases in which the facts established only that the defendant accessed the vehicle’s glove compartment to produce the vehicle’s registration. Hill v. Commonwealth, 52 Va.App. 313, 317, 663 S.E.2d 133, 135 (2008); Williams, 42 Va.App. at 728, 594 S.E.2d at 308; Commonwealth v. Thomas, 23 Va.App. 598, 603, 478 S.E.2d 715, 717 (1996); United States v. Wheeler, 525 F.3d 1254, 1255 (D.C.Cir.2008); Coombs v. Maine, 202 F.3d 14, 15 (1st Cir.2000); United States v. Schiavo, 29 F.3d 6, 8 (1st Cir.1994); United States v. Reese, 561 F.2d 894, 897 (1st Cir. 1975); Scott v. United States, 369 F.2d 183, 184 (4th Cir.1966). With all due respect, these cases do not provide a basis for the majority’s reliance on appellant’s failure to access the glove compartment as evidence of his guilty knowledge. The majority contends that it is not interpreting Opperman to create a legal duty for motorists to access a vehicle’s glove compartment when officers request vehicle registration; instead, the majority states it is simply giving the benefit of reasonable inferences to the Commonwealth. Supra at 515 n. 13, 703 S.E.2d at 145 n. 13. However, in application, if a motorist wishes to avoid being found to have knowledge of the contents of a vehicle’s glove box, he is compelled by the majority’s decision to check the glove box for the vehicle’s registration when requested. Although appellant did not access the glove compartment here, there was no prevailing legal justification for the trial court to infer that he had knowledge of the glove compartment’s contents. Where a fact “is equally susceptible of two interpretations one of which is consistent with the innocence of the accused, [the trier of fact] cannot arbitrarily adopt that interpretation which incriminates him.” Corbett v. Commonwealth, 210 Va. 304, 307, 171 S.E.2d 251, 253 (1969) (internal quotation omitted). In fact, the Commonwealth presented no evidence to suggest appellant made any motion toward the glove compartment as police stopped the vehicle, or that appellant engaged in any other behavior that would indicate he knew there were drugs in the locked glove compartment. There was no evidence that appellant appeared nervous, and in fact, the officers testified that appellant was entirely cooperative throughout the stop. I cannot reach the conclusion that these facts somehow support appellant’s culpability in this instance. The majority also notes, “`drugs are a commodity of significant value, unlikely to be abandoned or carelessly left in an area. '” Supra at 517, 703 S.E.2d at 146 (quoting Ward v. Commonwealth, 47 Va.App. 733, 753 n. 4, 627 S.E.2d 520, 530 n. 4 (2006)); accord Brown v. Commonwealth, 15 Va.App. 1, 9, 421 S.E.2d 877, 883 (1992) (en banc). However, in the instant case, there is no indication that the marijuana was “abandoned or carelessly left.” On the contrary, the fact that the drugs were secured in a locked glove compartment could suggest the drugs’ owner attempted to secure and hide the marijuana from the view of others. Thus, this factor does not support a finding that appellant knew the nature and character of the marijuana found in the car. The majority characterizes these statements as “appellant’s equivocal testimony that perhaps he could, and then that he could not, recognize the smell of marijuana” and states that the trial court was entitled to consider appellant’s dishonesty as affirmative evidence of guilt. Supra at 515-17, 703 S.E.2d at 145-46. However, appellant’s initial statement that he may be familiar with the smell of marijuana followed by the statement “No, not really” does not amount to a change in statements, first suggesting that he is familiar with the smell of marijuana and then stating that he is not. “Maybe” is defined as both “perhaps” and “uncertainty.” Merriam-Webster’s Collegiate Dictionary 767 (Frederick C. Mish et al. eds., 11th ed.2005). Thus, appellant’s initial answer could have conveyed appellant’s uncertainty about his own knowledge of the smell of marijuana, not a statement that “perhaps he could” recognize the smell of marijuana. Although appellant’s testimony is capable of two interpretations, again, “where a fact is equally susceptible of two interpretations one of which is consistent with the innocence of the accused, [the trier of fact] cannot arbitrarily adopt that interpretation which incriminates him.” Corbett, 210 Va. at 307, 171 S.E.2d at 253 (alteration in original) (internal quotation omitted). Furthermore, even assuming the trial judge correctly determined appellant was familiar with the smell of marijuana based on appellant’s equivocal testimony, there was no evidence presented by the Commonwealth suggesting appellant’s familiarity with that smell proved that he had smoked marijuana in the vehicle, or knew the vehicle contained fresh marijuana at the time he occupied the vehicle. Any inference that the trial court can draw from appellant’s testimony on this issue is also not dispositive in determining appellant’s knowledge of the presence and character of the marijuana. While this matter was pending in this Court, the Supreme Court of Virginia issued its decision in Cordon v. Commonwealth, 280 Va. 691, 701 S.E.2d 803 (2010). The holding in Cordon is not only instructive to our analysis; it is, in my view, controlling. A review of the salient facts and circumstances in Cordon is helpful to the analysis in this case. In Cordon, the defendant was charged with possession of cocaine after police found a cooler containing two bags of powder cocaine, numerous baggies, and drug paraphernalia in a bedroom the defendant had previously identified as “his” bedroom in a house owned by the defendant’s uncle. Id. at 693, 701 S.E.2d at 804. In addition to the cooler, the police also found “some checks and some papers and stuff” containing the defendant’s name. Id. They also found a business card of a police officer in the bedroom. Id. at 693, 701 S.E.2d at 805. The police officer whose card was found had given his card to appellant two days prior to the search. Id. When police officers interviewed the defendant and told him what they had found in the bedroom, the defendant denied living at the house and terminated the conversation. Id. at 694, 701 S.E.2d at 805. In reversing Cordon’s conviction of possession with intent to distribute cocaine, the Supreme Court of Virginia held that the Commonwealth failed to present evidence sufficient to show that the defendant “knew that cocaine was in the cooler in the bedroom and that it was subject to his domain and control.” Id. at 696, 701 S.E.2d at 806. The Court found that “[t]here was no evidence of ownership of the cooler, a very portable item, and no evidence placed [the defendant] at the house at any time between the day he received [the police officer’s] business card and the day the search warrant was executed.” Id. Although the Court recognized that “if a defendant’s denial of circumstances relating to an illegal act is inconsistent with previous 156*156 statements or facts, it is fair to infer that such denial was for the purposes of concealing guilt,” id. at 695, 701 S.E.2d at 805, it held that that inference combined with the other evidence in the case was insufficient to support appellant’s conviction, id. at 696, 701 S.E.2d at 806. Similarly, in the case at bar, even if the trial court was entitled to infer from appellant’s supposed denial that he recognized the smell of marijuana and that appellant was lying to conceal his guilt, that inference combined with the other evidence in this case is insufficient to support a finding that appellant knew of the nature and character of the marijuana in the locked glove compartment of his girlfriend’s car. There was no evidence of ownership of the baggies of marijuana, an item as portable as the cooler in Cordon. Furthermore, although appellant was in the car at the time the marijuana was found, as discussed above, appellant’s mere proximity to the marijuana is insufficient to establish his knowledge of the drugs. In addition, just as in Cordon, other factors indicative of guilty knowledge found in Rawls v. Commonwealth, 272 Va. 334, 634 S.E.2d 697 (2006), and Lane v. Commonwealth, 223 Va. 713, 292 S.E.2d 358 (1982), are absent in this case. In Cordon, the Court noted that in both Rawls and Lane, “the inference of guilt based on the defendant’s denial and its tendency to show knowledge and control of the contraband was accompanied by significant evidence connecting the defendant to the contraband.” 280 Va. at 696, 701 S.E.2d at 806. In Rawls, in addition to the defendant’s denial, the evidence showed the contraband, in that case, a firearm, was found in a bedroom identified as the defendant’s by the testimony of other residents in the house, the defendant’s presence in the room, asleep, immediately before officers found the firearm, and the presence of articles of the defendant’s clothing in the room. 272 Va. at 341-42, 634 S.E.2d at 700. In Lane, in addition to the defendant’s denial, the evidence showed that the contraband, in that case, methaqualone pills, was found in a bag behind a chair in which the defendant was sitting, 223 Va. at 716, 292 S.E.2d at 359-60, the defendant owned and occupied the dwelling in which the drugs were found, id. at 715, 292 S.E.2d at 359, and the defendant “became `fidgetive'” when an officer approached the chair in which she was sitting, id. at 716, 292 S.E.2d at 359. In contrast, similar factors connecting appellant to the marijuana found in the glove compartment in the car are not present in this case. Although appellant was in the car, he was not the owner of the car. Personal 157*157 items belonging to appellant were not found in the glove compartment with the marijuana. Appellant made no furtive gestures suggesting he was aware of the presence of the marijuana. Other factors cited by the majority in support of appellant’s conviction, including the odor of marijuana, appellant’s possession of the ignition key that also unlocked the glove compartment, appellant’s failure to look in the glove compartment for the registration, and the “abandonment” of the marijuana are all similarly unpersuasive for the reasons discussed above. As in Cordon, “[w]hile the circumstantial evidence in this case may be sufficient to raise a suspicion of guilt, it cannot support a conclusion beyond a reasonable doubt, by a rational trier of fact,” 280 Va. at 696, 701 S.E.2d at 806, that appellant knew the marijuana was in the car. It is the appellate court’s “duty to look to that evidence which tends to support the verdict.” Snyder v. Commonwealth, 202 Va. 1009, 1016, 121 S.E.2d 452, 457 (1961). However, the presumption of innocence cannot be overborne except by proof of appellant’s guilt beyond a reasonable doubt. Miller v. Commonwealth, 181 Va. 906, 907, 27 S.E.2d 57, 57 (1943). If the Commonwealth fails to prove any fact necessary to support an element of the offense, then the evidence is insufficient as a matter of law to support the conviction. See Maxwell, 275 Va. at 441-44, 657 S.E.2d at 502-03. “Proof of constructive possession necessarily rests on circumstantial evidence; thus, `all necessary circumstances proved must be consistent with guilt and inconsistent with innocence and exclude every reasonable hypothesis of innocence. '” Burchette, 15 Va.App. at 434, 425 S.E.2d at 83 (quoting Garland v. Commonwealth, 225 Va. 182, 184, 300 S.E.2d 783, 784 (1983)); accord Coleman v. Commonwealth, 226 Va. 31, 53, 307 S.E.2d 864, 876 (1983); see also Young, 275 Va. at 592, 659 S.E.2d at 311. Circumstantial evidence which creates only a “`[s]uspicion of guilt, however strong, or even a probability of guilt, is insufficient to support a conviction. '” Finney v.Commonwealth, 277 Va. 83, 88, 671 S.E.2d 169, 172 (2009) (quoting Rogers v. Commonwealth, 242 Va. 307, 317, 410 S.E.2d 621, 627 (1991)). Even if it were probable from these facts that appellant was aware of the nature and character of the marijuana, “probability of guilt is insufficient to warrant a criminal conviction.” Burchette, 15 Va. App. at 438, 425 S.E.2d at 86 (citing Crisman v. Commonwealth, 197 Va. 17, 21, 87 S.E.2d 796, 799 (1955)). Suspicious circumstances “no matter how grave or strong, are not proof of guilt sufficient to support a verdict of guilty. The actual commission of the crime by the accused must be shown by evidence beyond a reasonable doubt to sustain his conviction.” [Crisman, 197 Va. at 21, 87 S.E.2d at 799] (quoting Powers v. Commonwealth, 182 Va. 669, 676, 30 S.E.2d 22, 25 (1944)). Suspicious circumstances alone are not sufficient to prove knowing possession of a controlled substance. Id. at 438-39, 425 S.E.2d at 86. Given the facts of this case, I would conclude the evidence is at best in equipoise. “If, after [the court resolves all conflicts in the evidence], the evidence of guilt or innocence remains anywhere near equipoise— that is, the facts are `equally susceptible to two or more constructions’—then reasonable doubt exists as a matter of law.” Haskins, 44 Va.App. at 9, 602 S.E.2d at 406 (quoting Feigley v. Commonwealth, 16 Va.App. 717, 724, 432 S.E.2d 520, 525 (1993)). Further, I do not find the record contains any of the other necessary facts or circumstances to support a finding of guilt. In this case, it is equally likely that someone else used marijuana in the car or used marijuana prior to getting in the car, at some time prior to the traffic stop. This is especially true given Killabrew’s testimony that she lent the car to several people on a regular basis. 158*158 Because Killabrew either did not or could not fall on the sword of criminal responsibility in this matter does not require that appellant must therefore assume criminal responsibility. Appellant’s circumstances present in no uncertain terms a reasonable hypothesis of innocence. In fact, the learned trial judge recognized this reasonable hypothesis of innocence when, in weighing the evidence, he conjectured, “either [appellant] had been smoking [the marijuana] or he had recently just had somebody in the car who was smoking it, or at least that’s the conclusion that the Court can draw from this evidence.” When we assess the sufficiency of the evidence as a matter of law, we must remain cognizant of the factual determinations made by the trial court. This does not end the significant legal inquiry this Court must make in light of the trial court’s factual determinations. In my view, the majority’s reasoned efforts to support its conclusion that appellant was criminally culpable do not address both of the two critical inquiries necessary to resolve these circumstances. These separate inquiries involve this Court’s responsibility not only to accept the factual determinations of the trial court but also to evaluate these factual determinations to ensure that they support a conviction as a matter of law. Interestingly, assessing this case from the perspective of merely deferring to the factual determinations of the trial court without making the proper legal assessment is precisely the debate between the majority and the dissent in Cordon. I respectfully suggest that it could not be concluded beyond a reasonable doubt that the evidence in this case was sufficient to prove appellant had knowledge of the nature and character of the marijuana. Controlling authority mandates that to convict appellant, there must have been acts, statements, or conduct by appellant, or other facts or circumstances that, as a matter of law, tend to show he was aware of both the presence and character of the substance and that it was subject to his dominion and control. Haskins, 44 Va.App. at 6, 602 S.E.2d at 404; Williams, 42 Va.App. at 735, 594 S.E.2d at 311. Given the very limited circumstantial evidence presented herein, appellant’s actions simply do not qualify as culpable criminal behavior under our jurisprudence. The evidence to support the Commonwealth’s theory of constructive possession is, in my view, simply lacking in this case, and I respectfully disagree with the majority’s determination that there was sufficient evidence based on this record to find appellant guilty beyond a reasonable doubt. Thus, I would conclude that as a matter of law, the evidence is insufficient to find appellant guilty of possession of marijuana. For the foregoing reasons, I cannot join in the majority’s conclusion, and I respectfully dissent from its holding. Appellant was also convicted of driving on a suspended license, third or subsequent offense, in violation of Code § 46.2-301. Appellant challenged that conviction in his petition for appeal, but an appeal was not granted on that question presented. Therefore, the panel majority opinion did not reach the question of whether appellant possessed this marijuana with intent to distribute. At trial, appellant moved to suppress the fruits of the search resulting from this traffic stop. The trial court denied the motion to suppress. Appellant did not appeal this ruling, and, therefore, he has not argued on appeal that anything about the traffic stop was improper. Appellant called Killabrew as a witness during the suppression hearing, which was held immediately before the bench trial. The court described this testimony as “just for the suppression” issue. However, the trial court, the prosecutor, and appellant’s own defense counsel all referenced Killabrew’s testimony when addressing the evidence relevant to appellant’s guilt on the possession with intent to distribute charge. Therefore, as appellant’s counsel acknowledged during oral argument, since the trial court was asked to consider this evidence when determining appellant’s guilt, we are certainly not constrained from considering Killabrew’s testimony in determining the sufficiency of the evidence on appeal. The key to the vehicle, which appellant used to engage the ignition, was also capable of unlocking the glove compartment where the marijuana was found. “`The law is well established that possession of the means to exercise dominion [and] control over an item gives the possessor dominion [and] control over the item [itself]. '” Wright v. Commonwealth, 53 Va.App. 266, 274, 670 S.E.2d 772, 776 (2009) (quoting Bell v. Commonwealth, 21 Va.App. 693, 698-99, 467 S.E.2d 289, 291-92 (1996)). This Court’s opinion in Josephs was overruled in part by the Supreme Court in Young, 275 Va. at 592, 659 S.E.2d at 311. In Josephs, the defendant, whose luggage was placed in the trunk of a vehicle next to 130 pounds of marijuana packaged in closed garbage bags, said she “didn’t know about drugs. 1st time I’ve driven with that stuff.” Josephs, 10 Va.App. at 100, 390 S.E.2d at 498. Discussing the evidence that supported Josephs’ conviction for possession of marijuana with intent to distribute, the dissent here states, “Most significantly, in the Josephs case, the defendant by her own statement conceded that she was aware of the substance as she acknowledged that it was the first time she had `driven with that stuff. '” Contrary to the dissent’s claim, however, the use of Josephs’ statement in this manner in Josephs was actually a significant factor in the Supreme Court’s decision in Young to partially overrule this Court’s opinion in Josephs—to the extent that Josephs had held that bare possession of a controlled drug (which Josephs had conceded in her statement to the arresting officer) gave rise to an inference of guilty knowledge of the drug. Young, 275 Va. at 592, 659 S.E.2d at 311. Instead, the Supreme Court’s brief discussion of Josephs emphasized the “ample circumstantial evidence” that established Josephs’ guilty knowledge of the marijuana, focusing approvingly on the “the odoriferous contents of the trunk” in that case—which, unlike the odorless contents of the pill bottle in Young, gave Josephs an indication of the nature and character of the marijuana within the vehicle there. Id. at 592, 659 S.E.2d at 310-11. We note that the distinction between the odor of fresh marijuana and the odor of burnt marijuana was first introduced when the case came to this Court on appeal. During appellant’s motion to strike the Commonwealth’s evidence at trial, while arguing that the totality of the evidence at that point of the trial did not support appellant’s guilt, appellant’s trial counsel seemed to acknowledge that the strong odor of marijuana that was detected by the officers was a factor for the trial court to consider in assessing the sufficiency of the evidence. However, appellant’s counsel never argued in the trial court that any distinction between the odor of fresh marijuana and the odor of burnt marijuana would even be a relevant factor for the trial court to consider in reaching its verdict. 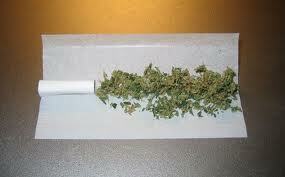 It is axiomatic that burnt marijuana must originate as unburnt marijuana. Therefore, the fact that the Ziploc bags of unburnt marijuana did not contain the same number of baggie corners (ten in one and thirteen in the other) supports the trial court’s inference that someone had recently smoked this marijuana inside the vehicle. In addition, no other source for the marijuana odor was found in the vehicle. We emphasize that the presence of the strong odor of marijuana emanating from the vehicle is not the sole or dispositive factor establishing appellant’s guilty knowledge of the marijuana in the glove compartment beyond a reasonable doubt. It is one of “`many concurrent and related circumstances,'” which may lead a rational factfinder “`irresistibly to a conclusion'” of guilt in this case. Derr v. Commonwealth, 242 Va. 413, 425, 410 S.E.2d 662, 669 (1991) (quoting Stamper, 220 Va. at 273, 257 S.E.2d at 818). The police found in that bedroom “some checks and some papers and stuff” bearing Cordon’s name. Cordon, 280 Va. at 693, 701 S.E.2d at 804. The detective’s business card was found in the same nightstand where ammunition and drug paraphernalia were also found. Id. at 693, 701 S.E.2d at 805. During a subsequent interview with the police detective one week later, Cordon denied living at the Finley Square house. Id. at 694, 701 S.E.2d at 805. Appellant’s possession of the key that was capable of accessing the glove compartment obviously was highly probative in determining whether he had dominion and control over the marijuana retrieved from the glove compartment, but this evidence was also relevant in determining whether appellant was aware of the marijuana in the glove compartment. See Burchette, 15 Va.App. at 435-36, 425 S.E.2d at 84 (considering the failure to prove Burchette’s possession of the vehicle’s keys as relevant in determining both dominion and control and guilty knowledge of the drugs found inside the vehicle. Whoever placed the marijuana into the glove compartment was necessarily aware that anyone with a key to the vehicle would have dominion and control over the glove compartment and, as a result, over the marijuana—which could have been seen immediately upon opening the glove compartment. Therefore, the factfinder could reasonably infer that the owner of the marijuana would keep these illegal drugs in the glove compartment only when he or she possessed the means to operate the vehicle—leading to the conclusion that the holder of the key in this case, appellant, was the owner of the marijuana or had guilty knowledge of it. During oral argument before the full Court, appellant’s counsel contended that appellant did not have sufficient opportunity to access the glove compartment to retrieve the vehicle’s registration, basing his argument on testimony from one of the officers. However, upon review of the entire record, the evidence clearly indicates that appellant was not removed from the car immediately upon handing his license to the officers, but instead he was removed after the officers confirmed through the dispatch that his license was suspended. Therefore, appellant had sufficient opportunity to comply with the officers’ request for the vehicle’s registration. Opperman should not be interpreted, of course, to create a legal duty for motorists to access the vehicle’s glove compartment when officers request vehicle registration, which is not the issue before this Court in this challenge to the sufficiency of the evidence supporting appellant’s conviction. As an appellate court, this Court must view the evidence in this case in the light most favorable to the prevailing party below and give that party “the benefit of any reasonable inferences.” Glenn v. Commonwealth, 49 Va. App. 413, 416, 642 S.E.2d 282, 283 (2007) (en banc) (citation omitted), aff’d, 275 Va. 123, 654 S.E.2d 910 (2008). That appellant did not access the glove compartment when the officers requested the vehicle’s registration presented a circumstance consistent with appellant’s guilty knowledge of the marijuana located within the glove compartment—or so a rational factfinder reasonably could have inferred, when the totality of the evidence in this particular case is viewed in the light most favorable to the Commonwealth (as the prevailing party below). Therefore, our analysis here is limited to the inferences that a rational factfinder could have made in this case when the facts are viewed in the light most favorable to the Commonwealth—and should not be read, of course, to suggest that a factfinder (in this or any other case) is required to infer any specific finding or conclusion. Given that the trial court is granted with “wide discretion” to determine the credibility of this live testimony by appellant (see Bradley v. Commonwealth, 196 Va. 1126, 1136, 86 S.E.2d 828, 834 (1955)), the trial court here clearly found that appellant’s testimony was not credible, even if the trial court did not explicitly make that finding when making its ruling on appellant’s guilt. See Bolden v. Commonwealth, 275 Va. 144, 147, 654 S.E.2d 584, 586 (2008) (holding that an appellate court’s examination of the record is not limited to the evidence mentioned by the trial court when it makes its ruling). Killabrew regularly permitted appellant to use the vehicle, and appellant admitted that he used the car when he needed to run errands. This regular use of the vehicle is very different than a situation where a person leases a rental car or where a person unwittingly drives a friend’s car on an irregular or one-time basis. It is important to note that nothing in the record supports appellant’s theories of innocence. Killabrew’s testimony did not reveal whether she had any knowledge of the marijuana in the glove compartment. As the trial court noted, no other driver of this vehicle besides Killabrew testified at appellant’s trial (other than appellant). These circumstances are very different than the circumstances that were before the Supreme Court in Cordon. There, Cordon had indicated in a handwritten statement to the police that an entirely different address in Newport News was his residence, Cordon, 280 Va. at 693, 696, 701 S.E.2d at 805, 806—and Cordon had given this written statement to the police days before the cooler with the cocaine was found in the bedroom of his uncle’s house, id. at 693, 701 S.E.2d at 805. This written statement pointing to Cordon’s maintenance of a separate residence, along with other circumstances that are distinguishable from this case, supported Cordon’s hypothesis of innocence that he was simply unaware that someone else had placed the cooler containing cocaine in the bedroom he had used in his uncle’s house. The majority notes, “It is axiomatic that burnt marijuana must originate as unburnt marijuana.” Supra at 509, 703 S.E.2d at 142 n. 8. While that may be true, the Commonwealth had the burden to prove appellant was aware of this particular marijuana. The existence of an odor does not necessarily establish who is responsible for the odor. In any event, the constructive possession of marijuana odor is not a crime in our Commonwealth. I cannot conclude that the Commonwealth met the burden of proof in this case by establishing that the vehicle smelled like burnt marijuana. was actually a significant factor in the Supreme Court’s decision in Young to partially overrule this Court’s opinion in Josephs—to the extent that Josephs had held that bare possession of a controlled drug (which Josephs had conceded in her statement to the arresting officer after the marijuana was discovered) gave rise to an inference of guilty knowledge of the drug. Supra at 507, 703 S.E.2d at 141 n. 6. While the majority is correct that Josephs was overruled in part by Young, 275 Va. at 592, 659 S.E.2d at 310, it was not on the basis that the Court of Appeals had erred in considering Josephs’ statement to the police. First, the majority’s characterization of Josephs’ statement as one merely conceding possession of the marijuana, supra at 507, 703 S.E.2d at 141 n. 6, is incorrect. The Court of Appeals did not interpret Josephs’ statement as simply conceding possession of the marijuana, or rely upon it in determining that Josephs had possession of the marijuana, as the majority argues. Id. Rather, the Court in Josephs interpreted the statement as an acknowledgement that “she knew that the marijuana was in the trunk, although this was the first time she had driven with it.” Josephs, 10 Va.App. at 100, 390 S.E.2d at 498 (emphasis added). The Josephs Court specifically analyzed the significance of Josephs’ statement in its consideration of the question of “whether there was sufficient evidence in the record to establish that Josephs had knowledge of the presence of the marijuana in the trunk,” id. (emphasis added), not in its analysis of whether Josephs “possessed” the marijuana. The Court of Appeals held that statement to be a proper basis for the trial court’s conclusion that the defendant knew the marijuana was present in the trunk. In Josephs, there was ample circumstantial evidence to support the trial court’s conclusion that the defendant was aware of the nature and character of the drugs that she jointly possessed, and it was unnecessary for the Court of Appeals to rely on an inference of guilty knowledge based on possession alone. We do not agree with the Court of Appeals’ statement in Josephs that “[p]ossession of a controlled drug gives rise to an inference of the defendant’s knowledge of its character,” insofar as that statement can be read to imply that bare possession, without more, may furnish proof, beyond a reasonable doubt, of the essential element of guilty knowledge. Id. at 591-92, 659 S.E.2d at 310 (internal citations omitted) (alterations in original). Thus, Josephs’ statement to the police was part of the “ample circumstantial evidence” cited by the Supreme Court of Virginia in Young justifying the Court of Appeals’ decision to uphold Josephs’ conviction, and not the basis for overruling Josephs. Young overruled Josephs insofar as Josephs held that possession of a controlled substance alone creates an inference of guilty knowledge, not because the Court of Appeals considered Josephs’ statement in determining that Josephs had knowledge of the marijuana in the trunk. Finally, the Court’s discussion of Josephs in Young did not focus upon “the odoriferous contents of the trunk” alone, as the majority claims, supra at 507-08, 703 S.E.2d at 141 n. 6. The Court listed the odor of marijuana, which was apparently that of fresh marijuana, the same form of marijuana found in the trunk of the car, among other factors proving Josephs’ knowledge of the marijuana. Young, 275 Va. at 591-92, 659 S.E.2d at 310-11. I note that there was no evidence in the record concerning the length of time that the smell of marijuana would linger after it is smoked, nor that appellant’s person or clothing smelled of marijuana, that appellant was intoxicated, or that any matches, smoking devices, or remnants of previously smoked marijuana were found in the car. Furthermore, the majority states that “the fact that the Ziploc bags of unburnt marijuana did not contain the same number of baggie corners (ten in one and thirteen in the other) supports the trial court’s inference that someone had recently smoked this marijuana inside the vehicle.” Supra at 509 n. 8, 703 S.E.2d at 142 n. 8. The difference in the number of Ziploc baggies does not suggest that marijuana had been smoked in the vehicle at all, let alone recently smoked in the vehicle. The majority’s statement on this point rests upon an assumption that each Ziploc bag began with an equal number of baggie corners, a fact we have no reason to assume. The majority’s emphasis that the odor of burnt marijuana is “not the sole or dispositive factor establishing appellant’s guilty knowledge” but rather one of many circumstances leading “irresistibly” to the conclusion of guilt in this case, supra at 509 n. 9, 703 S.E.2d at 142 n. 9, loses its appeal when considering the analytical limitations of the remaining factors relied on by the majority, as discussed below. Supra at 500, 703 S.E.2d at 137. The testimony by Officer O’Brien was that when the officer asked for appellant’s registration, appellant stated that it wasn’t his vehicle. The officer’s testimony does not imply appellant was asked to access the glove compartment, that appellant had any opportunity to do so, or that appellant refused to access the glove compartment. If anything, appellant was simply informing the officer that the registration would indicate he did not own the car. The trial court found that “either [appellant] had been smoking [the marijuana] or he had recently just had somebody in the car who was smoking it . . . .” Based on that statement, the trial court, at best, implied it disbelieved appellant’s testimony that he did not know the smell of marijuana. However, as the majority acknowledges, it never explicitly stated that it found, as a matter of fact, that appellant was lying to conceal his guilt. The majority seeks to distinguish Cordon on the grounds that the defendant in that case was not in the residence when the cooler containing the cocaine was discovered. Supra at 511-12, 703 S.E.2d at 143. This difference, however, is insufficient to distinguish Cordon from the present case, as it elevates proximity to a controlled substance or occupancy of premises on which a controlled substance is found beyond what is appropriate under the law. See Maxwell, 275 Va. at 444, 657 S.E.2d at 503 (“[W]hile proximity is a factor to be considered along with other evidence, mere proximity [to marijuana] is not sufficient to prove possession.” (citation omitted)); Code § 18.2-250(A) (“[O]wnership or occupancy of premises or vehicle upon or in which a controlled substance was found shall not create a presumption that such person either knowingly or intentionally possessed such controlled substance.” (emphasis added)). The majority also attempts to distinguish Cordon by implying that the Commonwealth’s case in the case at bar is stronger than that in Cordon because the “written statement pointing to Cordon’s maintenance of a separate residence, along with other circumstances that are distinguishable from this case, supported Cordon’s hypothesis of innocence,” supra at 519 n. 16, 703 S.E.2d at 147 n. 16, unlike the evidence in this case. This implicit theoretical evidentiary obligation imposed upon the appellant shifts the burden of proof placed upon the Commonwealth in a criminal case, as it is “[t]he burden of proof upon the state in a criminal case,” to prove “`beyond a reasonable doubt . . . every fact necessary to constitute the crime with which [the defendant] is charged,'” Commonwealth v. Hudson, 265 Va. 505, 512, 578 S.E.2d 781, 785 (2003) (emphasis added) (quoting In re Winship, 397 U.S. 358, 364, 90 S.Ct. 1068, 1073, 25 L.Ed.2d 368 (1970)), not the defendant’s burden to prove, beyond a reasonable doubt, facts suggesting his innocence. As the majority points out, the trial court relied on Killabrew’s testimony, which was offered only for purposes of the suppression motion, in reaching its verdict, and appellant failed to object. However, Killabrew’s testimony merely corroborates appellant’s account of the events. Killabrew testified that this was her secondary vehicle and that she “lent it out to [her] brother and [her] sister . . . for them to run errands and to go places if they wanted to.” Interestingly, the majority cites no authority for the proposition suggesting that to exculpate appellant it was somehow incumbent upon Killabrew to admit that the marijuana found in the glove compartment was hers. The evidence is simply that somebody had, at some unidentified time, smoked marijuana in the car. This entry was posted in Federal Criminal Defense Attorney and tagged Federal Drug Law.